Loc: 'De Sociale Dienst' very much in the center of Eindhoven! On the 19th April 1943 Dr Albert Hoffman performed a self-experiment that changed the world forever. 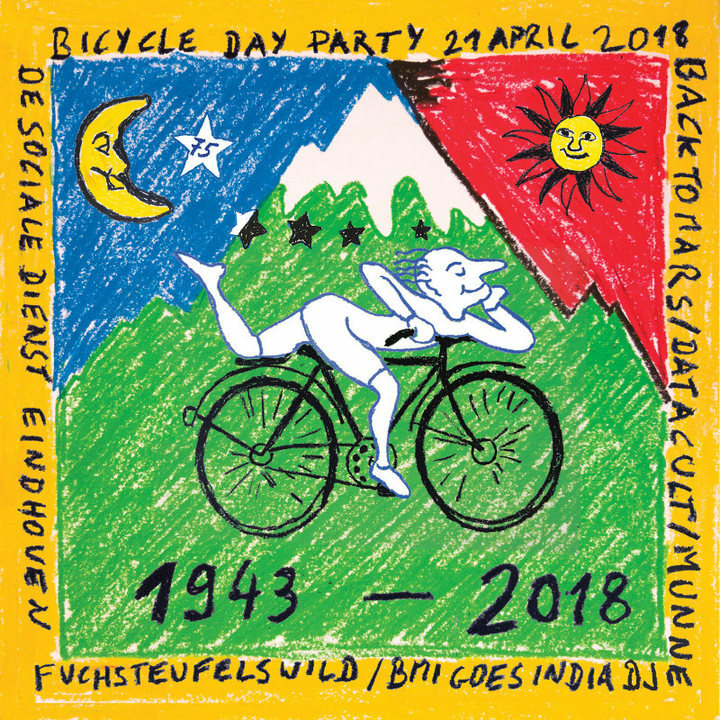 Having discovered the psychedelic effects of Lysergic Acid Diethylamide in his lab, Dr Hoffman decided to take a dose of his newly formed concoction and go for a leisurely ride on his bicycle..
'De Sociale Dienst' very much in the center of Eindhoven!